Yeah, we need these, like, YESTERDAY. Storybook Cosmetics is the gift that keeps on giving. From makeup brushes to magic themed palettes, this beauty brand is making all of our dreams come true. Storybook's latest endeavour involves our two favourite things: Liquid lipsticks and a bit of magic. The brand recently announced the upcoming launch of the Wizardry and Witchcraft lip edition available this autumn. The lip edition will be a companion to the Wizardry and Witchcraft eyeshadow palette which looks to feature a similar colour range. Storybook haven't announced an official launch date but you can probably expect them to drop around Black Friday. 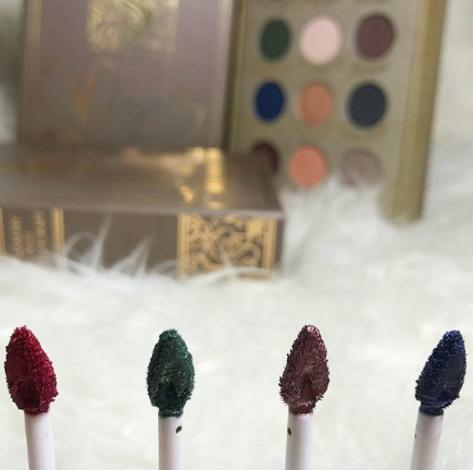 The brand confirmed to eager Instagram commenters that the lipsticks will be available for purchase through their official website. Raise your wands if you're as excited as we are.